Subaru is going to reveal the next-generation 2020 Outback next week at the New York Auto Show. Subaru has released a single teaser of the 2020 Outback, which gives us a few clues to the styling differences between it and the 2020 Legacy. We can see that the 2020 Outback will get a slightly different front fascia with vertical LED daytime running lights. 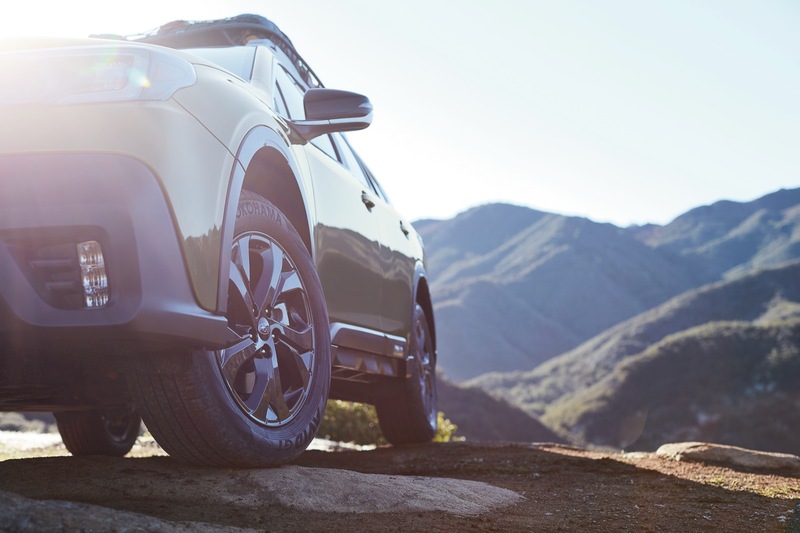 Since the 2020 Outback is the more rugged option, we can see that it also gets extra cladding on the fenders, bumper and side sills. The new Outback previewed here also rides on black wheels. Under the hood we can expect the 2020 Subaru Outback to get the same engine options as the Legacy, which means that it will come standard with a 2.5-liter naturally aspirated four-cylinder boxer engine with 182 horsepower and 176 lb-ft. of torque. The more powerful option is the 2.4-liter turbocharged four-cylinder engine with 260 horsepower and 277 lb-ft. Both engines are mated to a CVT and send the power to all four wheels. The 2020 Subaru Outback will debut on April 17.